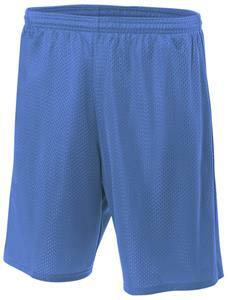 A4 Adult Lined Tricot Mesh Shorts. Body: 100% Polyester Mesh. Liner: 100% Polyester. Moisture Wicking. Odor Resistant. Stain Release. 1.5" Cover Elastic Waistband with Inside Draw Cord. Inseams Available In 7", 9" Top Selling Item. WAIST RELAXED 23" 25" 27" 30" 33" 36" 39" 42"
Great shorts. Comfortable. Good Price.